The Mayor & Chief Executive Officer will present certificates for nominees under the Staff Recognition Program – Maranoa Medal, and announce the award winner. To be held at the Roma Administration Centre on 9 July 2014. 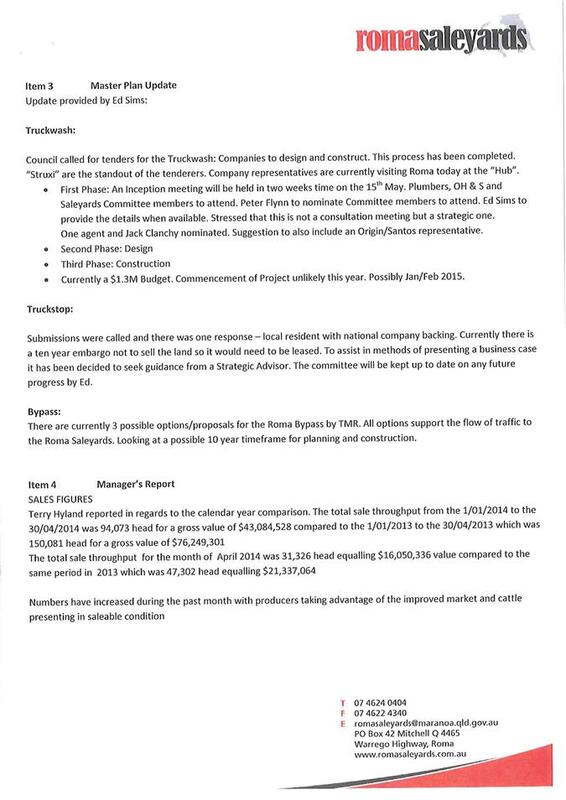 This report provides a copy of the confirmed meeting minutes of the advisory committees that held meeting during the months of April 2014 – May 2014. The communities’ recommendation in this regard be put forward to Council for formal consideration. 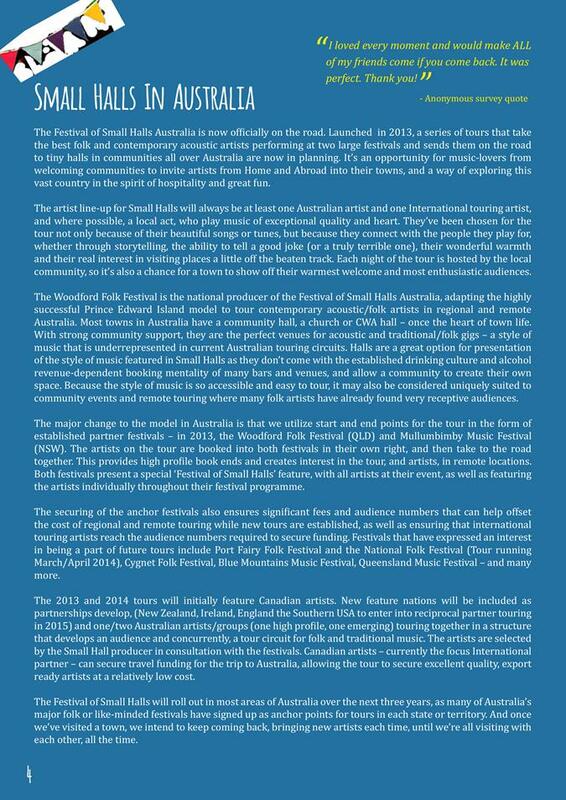 That the Airport Advisory Committee Meeting minutes 2 April 2014 be confirmed as presented. Ben Jones gave an insight into the installation – costs are to be confirmed – it is estimated that installation will be completed over the next month. Ben Jones confirmed that the Aero Club has put in an offer to Council, Cameron Castle – Director of Infrastructure, has approved of the proposal, however, it is subject to the CEO signing off on the recommendation. That the Committee endorse the revised ‘Terms of Reference’, subject to the Quorum being adjusted to a minimum of six (6) members. - Roma Airport has been identified as the s the busiest Regional Airport for Qantas in Australia. - Mackay Airport is opening their own motel on sight - details of the Mackay Airport were discussed in relation to length of runways, costings of restructure and their revenue. - Also noted was that self funded (contractors booking their own ticket) are walking 5-7km from the Airport to avoid parking fees. - The dearest parking charges were $11/day. - They are also installing “pokie” machines into the airport. - Avalon is the fastest growing airport in Australia and doesn’t charge passenger tax. - Cr Denton advised that presenters at the conference discussed the importance of Airport Operators and Airlines developing a closer relationship to ensure good communication outcomes for all parties and passengers. - Airlines requested further communication during the year not just when there are changes in fees etc. A general discussion took place with committee members on the challenges Emerald Airport has been facing in relation to their car park. Lyn Kajewski reported that the Billboards will be completed and installed by the end of June. The billboards will be placed at the following locations:- Arthur St, Car park, Info Centre & Airport ( Baggage collection area) however, once the extension is done it will be above the baggage carousel. Ben Jones reported that Council has appointed a Project Manager – Bianca Kocsis. Her responsibilities include the Airport Expansion. - Baker Rossow are making a few minor refinements to the initial expansion plan supporting efficiency in carrying out the works and meeting budget requirements. - The initial plan would have meant that existing infrastructure would have needed to be destroyed, such as the ring road, lighting and footpath, the updated plan will work with existing infrastructure remaining in place. - At an upcoming workshop Council will discuss detailed design estimates, as estimates to date have been based on the over arching higher level master plan. Ben Jones advised that the internet connection had now been reinstated at the Roma Airport; so that ‘real time’ information is displayed on the screens for flight details at check in, this will eliminate the timing delays for updates. The time setting will also now be accurate. An upgrade of the current laptops will be considered as part of the airport redevelopment program. - IT staff have implemented a system with Team Viewer so that the provider can log in remotely to resolve any issues and the system can automatically download updates. - The relocation of 20km/h sign located just on the airport side of the grid to a location closer to the airport, (this will ensure drivers can gradually reduce speed when entering from the highway, rather than hard braking). - The 20 km/h sign has been left closer to the car park to allow the ring road and internal car park to stay at 20/km/h – the shared zone at the front of the terminal is 10km/h. Lyn Kajewski asked if the RFDS & landing charges had been refunded – Ben Jones confirmed that this had been done. Peter Flynn enquired about the 2 televisions at ‘Check- In’, these are not activated at present, he suggested that they should be activated with one dedicated to tourism information and the other with general TV channels. Ben Jones advised that the expansion would be approached in stages, facilitated by the recently appointed project manager. Work Packages will be issued for each component of the project. ie: - Extension of Baggage area, Goods Sheds & associated works (moving of fencing, dropping of walls etc), proposal for a bus shelter and a coach exchange – Main roads are investigating potential funding of this aspect. Start Date of the Terminal Expansion has not yet been confirmed, and will be better understood once the tender process commences. - 265 000 passengers for the financial year so far. - The airport will break 300 000 for this year. Peter Flynn discussed the concern over the internet access in general – due to high peak usage periods a good connection is difficult to gain at the airport. Discussion was held over the possibility of installing WiFi - eg giving passengers for example 30min free WiFi – and then charge over that. It was discussed that this may be a potential income for council. That Council consider installing WiFi capability at the Roma Airport, and further investigate the cost to implement this capability. The Committee scheduled the next meeting for 4th June, 2014 commencing 6pm, to be held at the Council Chambers. The meeting was closed at 6:45pm. Apologies Robert Hayward, Yolande Thomas, Loretta Thomas, Emily Rogers, Bill and Kellie McLean, Amy McNamara, James McAuley, Lorinda Otto. Terms of Reference are updated as presented and endorsed. Turf Club to confirm interest in using Children’s Playground for events at Bassett Park. All trainers to be notified on the 20th of each month of scheduled events inside the track. Kevin to determine whether Roma Show Society could afford to contribute the stalls, following discussion at the next Show meeting and confirmation of profit drawn from the Roma Show. John Mulcahy advised the Roma Campdraft Association are willing to contribute as it is costing the group $3000/year to hire a system. Fiona to look at funding opportunities. All groups are to get their PA requirements to Fiona with areas of Bassett Park that they require a system to be heard in, and then a quote to be obtained from a commercial PA provider. Lloyd to provide Kevin Pope with Bassett Park’s PIC number – QERM0021 for health declaration. All groups’ to consider nomination for involvement in the RADF Application Process in seeking funds to place art work on the besser block wall located on Northern Road. Lloyd to discuss repairs and painting of the toilets on the deck near the members bar with John and Damien on their return to work at Bassett Park. 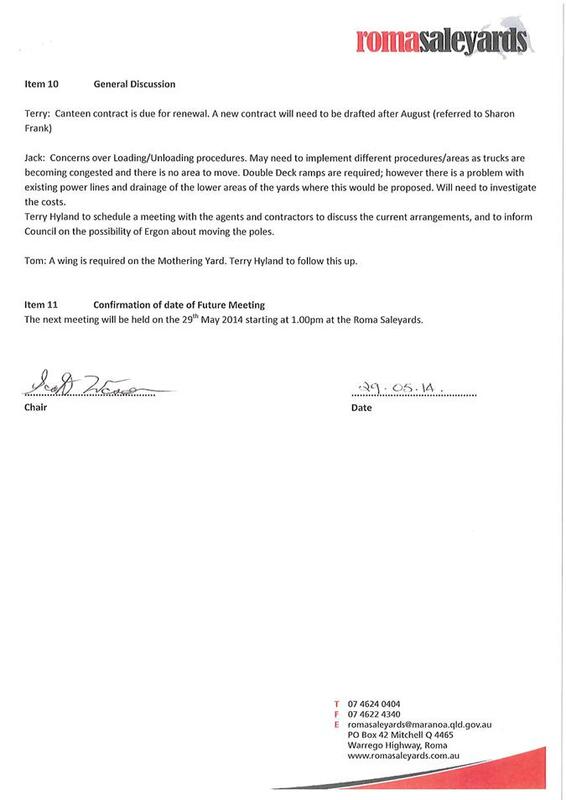 That the minutes of the Bassett Park Advisory Committee Meeting held on 18 February 2014 be confirmed as presented. That the updated Terms of Reference be adopted as presented. Fiona led discussion on whether any the groups would like to see the playground used for their events after fielding enquiries from the public about use of the playground during Bassett Park events. Discussion from Show that it is blocked off with the marquee and Turf Club hesitant due to having to pay damages to equipment when once used. Turf Club having a Committee meeting tomorrow evening and will ask all members and give final response at next meeting. Picnics Committee not interested as very few children at their event and also concerned about having to pay for damages. All trainers to be sent an email on the 20th of the month with events occurring inside the track for the following month as shared communication that the trainers must be finished training on the mornings with events inside the track by 7 a.m.
That resident trainers be emailed a schedule of events for inside the track on the 20th of each month, confirming the following month of planned activities. Fiona advised that two proposals had been received for the Feasibility Study and the project awarded to Scott Alston, MAK Planning and Design. Jackie Erikson enquired on the estimated cost of the study, with Fiona Vincent confirming under the Chair’s direction in providing this cost, being $49,750. 3. Provide an estimate of what the group thinks is a reasonable hire fee. Fiona Vincent to provide the Project Brief in the email sent with the Minutes so the groups could see what Council is requesting from the consultant, with the groups’ to respond by 23 May 2014. Fiona advised that Tanya Mansfield has placed the order for the showers to be placed inside the track, comprising 5 showers in individual cubicles, and 1 disabled shower and toilet in cubicle. Facility to be placed near present toilet block, due to positioning of the current water, power and sewerage lines. Fiona briefed attendees on progress of developing an estimate for the 2014/15 budget with respect to the proposed Bar Upgrade. A quote for draft design and associated costs will be obtained from Bill Robertson Drafting services. Once to hand this quotation will be presented to Council for consideration and approval, the group confirmed they were happy with this approach. Once final costs are known, each of the groups has been asked to consider what funds they can commit. Ranald led discussion on a need for additional stalls for the 2014 Roma Cup and that Racing Qld are requesting they install 40 stalls. 40 stalls would allow another 20 stalls to be used for the Show. Ranald advised that Racing Qld were to commit to the Equine Pool, total cost of $80 000, but now will not be assisting the Turf Club. Roma Turf Club will ask Racing Queensland if they will assist with funding towards the Tie Up Stalls. Discussion followed on whether Roma Show Society could afford to contribute the stalls. Kevin is to discuss at Show meeting tomorrow night and then await the figures from profit from the Show. John Mulcahy asked about the PA system and advised the Roma Campdraft Association are willing to contribute as it is costing the group $3000/year to hire a system. Fiona to look at funding opportunities. All groups are to get their PA requirements to Fiona with areas of Bassett Park that they require a system to be heard in, and then a quote to be obtained from a commercial PA provider. Kevin Pope advised Ranald Ferrier that all trainers on site would need to sign a health declaration for all horses on Bassett Park as part of their procedures to deal with a disease outbreak. This is a requirement from DAFF. Lloyd to provide Kevin Pope with Bassett Park’s PIC number – QERM0021. Fiona raised the idea of Cr O’Neil’s for art work to be included on the blank besser brick wall on Northern Road to show the sports associated with Bassett Park. Fiona advised that the next round of RADF funding will open mid May and close at the end of June. Fiona to ask each group to nominate an interested member of their group to be involved in the application process. 5. Cr Flynn gave an update on the Easter Rodeo and the position between Easter in the Country Committee and Roma Rodeo Association. Cr Flynn asked Lloyd if the Council carpenter was still on site. Lloyd advised he is currently working away and is returning soon. Lloyd to discuss repairs and painting of the toilets on the deck near the members bar with John and Damien on their return to work at Bassett Park. Tania Schefe – Heart Starters class instructor, is requesting the continuation of financial support (venue hire) from Be Healthy Maranoa (BHM) post 30 June 2014. It has been stated, that income from this class does not cover the associated costs to deliver this service. This class is well established and has been financially supported by BHM since 2012. That Council approve the utilisation of Council funds ($600 per annum) to support the venue hire for this seniors exercise class (Heart Starters). Heart Starters class is a senior’s exercise session delivered by Ezi As Fitness -Tania Schefe. This was an existing exercise group which was relocated from PCYC to the Senior Citizens Hall due to the associated costs involved at PCYC. Participants requested Be Healthy Maranoa (BHM) to financially assist with the continuation of this class. As a well established and attended class, this contribution was approved until 30 June 2014. BHM support included financial and material aid; that being venue hire ($50 / month) and the utilisation of BHM exercise kits respectively. Due to the current participant numbers, the income incurred does not meet the associated costs to continue this class. This is a weekly class and participants currently contribute $10 / class which includes a morning tea. Participants and Instructor are requesting this financial support to continue – venue hire ($600 per annum) post 30 June 2014. Senior Citizens Hall hire @ $50 / month ($600 per annum). Maranoa Regional Council has a current service agreement with the Department of Education, Training and Employment to provide a limited hour’s childcare program to the families of Surat. The Department has increased the funded amount to limited hour’s childcare centres from $37,333 to $46,034. In order to release the funds it is a requirement that Council sign a Deed of Variation to the existing service agreement. It is recommended that Council approve the Deed of Variation be signed which will allow funds to be released to ensure the operational viability of Maranoa Early Learning Centre in Surat. Under the current limited hours funding service agreement, Maranoa Regional Council receives an annual funded amount to assist with the operational costs for the administration of Maranoa Early Learning Childcare Centre in Surat. The Department of Education, Training and Employment has sent a revised Deed of Variation to increase the annual funded amount of $37.333 to $46,034. This deed of variation needs to be signed by Council in order to release the funds. Following consultation with the Director Program Administration and Funding – Department of Education, Training and Employment – Mark Kane, the Deed of Variation has no implication on the current service agreement arrangements other than to increase the annual amount of funding received by the organisation. The Department of Education, Training and Employment has been notified of the Council resolution to cease management of Maranoa Early Learning if a new provider cannot be found. When Council ceases to manage Maranoa Early Learning after December 2014, a financial acquittal will be submitted to the Department of Education, Training and Employment and any amount of the funding which has not been expended will be returned. This requirement will not change if the deed of variation is signed by Council. If the Deed of Variation is not signed off, the Department of Education, Training and Employment will assess the current service agreement and re-negotiate with Council. Increase in annual funding ($46,034) will assist Maranoa Early Learning to be financially viable under Maranoa Regional Council management. Maranoa Regional Council shares Council news via a range of communication forums. With the expiration of two of these communication contracts ending end of June 2014 (Western Star’s Council News advertisement and 4ZR’s Councillor Chat radio segment), Council’s views are sought on the current and future forums. 2. Re-new the Councillor Chat radio segment with 4ZR until 31 June 2015 (no changes to current format). · The Councillor Chat radio segment with 4ZR expires end of June 2014. Council uses a variety of forums to communicate news and updates with key stakeholders. Councillor chats on 4ZR radio is a valuable tool as stakeholders can be reached while travelling in the car, at work or at home. This segment has been running for several years, which provides listeners with a consistent link to catch-up on the week’s happenings at Council. The print advertisement in the Western Star is also beneficial as it is a full-page of unchanged Council News (professionally designed) to catch the reader’s eye and provide an update of the month’s news at Council. It also includes a Career Opportunity and Tenders section so as to be informative to a number of stakeholders. 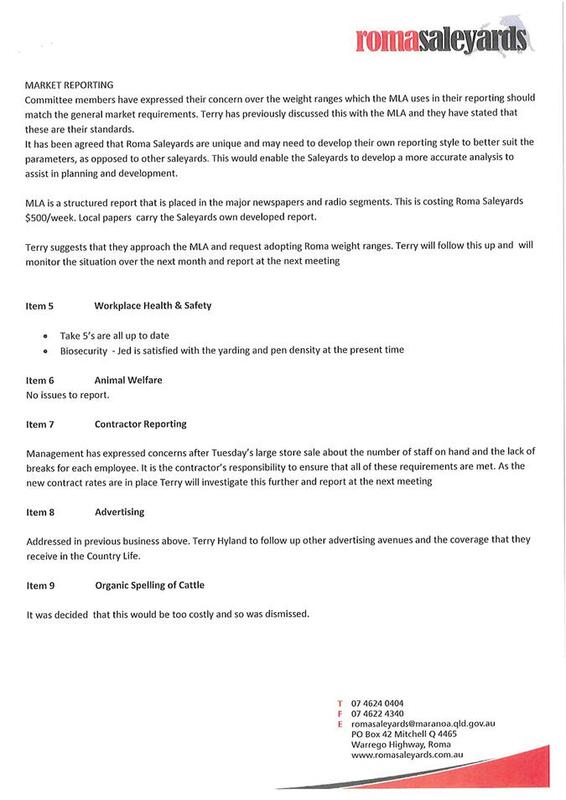 Both of these forums work well with Council’s other external communications, including media releases, Facebook posts, Bottle Tree Bulletin, E-Newsletters and E-Bulletins and impromptu interviews with journalists (print, radio and television). They also provide Council with an opportunity to feature any large projects being undertaken and/or clarify information with the community. The report seeks formalisation of Elected Member attendance at conferences and meetings as part of advocacy activities and/or enhancing strategy and policy development for Maranoa Regional Council. · Cr. Wendy Newman at the 4th Local Government & Public Sector Building Maintenance & Management Conference on 11 – 12 November 2014 in Sydney. It will also be supported by technical tours, trade booths, and networking opportunities. in support of respective portfolio areas of responsibility. This conference focuses on managing Council assets from Pest Control, Security, Air-Conditioning, Energy Efficiency to funding of new buildings. It will also explore building sustainability through all phases of life from design, construction and beyond. The conference promises to be a practical approach, with a variety of guest speakers sharing real life solutions. Cr. Newman has expressed a keen interest to attend this conference in her capacity as Portfolio Chair for Development, Property and Legal. The Act requires that Councillors’ attendance at conferences and deputations be permitted by the local government. Unauthorised Councillor Attendance at conferences could compromise insurance entitlements should circumstances arise that lead to the submission of an insurance claim. Councillor Expense & Provision of Facilities Policy. The Department of Natural Resources and Mines seeks Council’s views on an Application for Permit to Occupy over Lot 7 on EG124 being Reserve for grazing purposes. That Council advise the Department of Natural Resources and Mines that it has no objection to a Permit to Occupy being issued over Lot 7 on EG124 being a Reserve for grazing purposes. 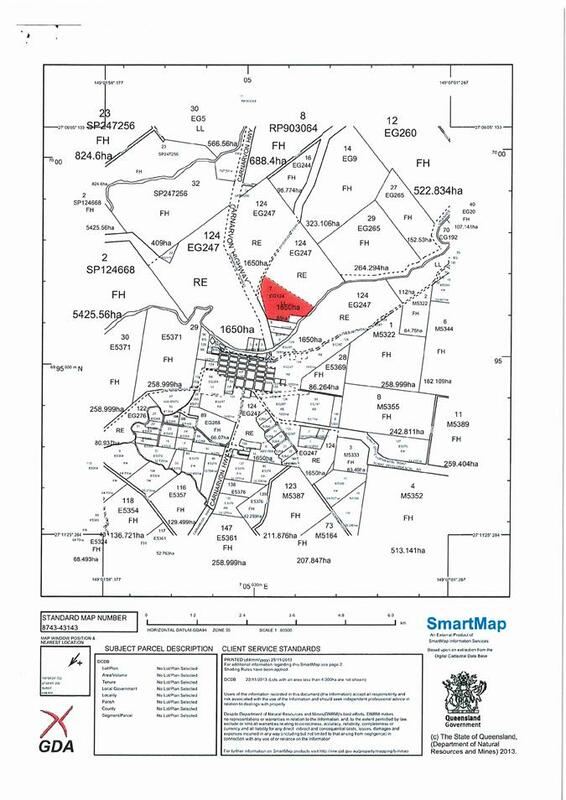 In accordance with usual practice, the Department of Natural Resources and Mines is seeking Council’s views or requirements on an application it has received for a Permit to Occupy over Lot 7 on EG124 being a Reserve for grazing purposes, located north of Surat. At its General Meeting on 11 December 2013, Council considered an application for Renewal of Term Lease 0/221573 over this lot. The outcome from that meeting was that Council resolved to object to the renewal of the Term Lease on the basis that the land is located on a primary stock route that more than likely has water in the Balonne River. Unlike a Term Lease which can be issued for terms of 1 to 100 years, a permit to occupy is not an interest in the land; it does not allow for exclusive possession of the land and the reason for occupation must be able to coexist with the purpose of the land (e.g. a road or reserve). For example, if a permit is granted over a part of a road, the area remains open for use as a road. If the permit is over a reserve, the land remains available for the particular community purpose it was gazetted for. Therefore if a Permit to Occupy is issued over this land, the land will still be available for its use as a Stock route. Department of Natural Resources and Mines. Nil financial risk as the Department of Natural Resources & Mines incur the costs involved with permit preparation. Applicant applied to Maranoa Regional Council to have Dangerous Dog registration fee waived until July 2014. That Council request the applicant to pay the applicable fee to retain a Dangerous Dog within an urban area of Maranoa Regional Council, less the amount previously paid for registration for 2013-14. On the 15th February 2014 Ms Rodgers dog “Oscar” did attack a telephone delivery person resulting in that person sustaining bite injuries to his/her forearms. Maranoa Regional Council’s authorised officers conducted a thorough investigation of the incident resulting in the dog “Oscar” being declared Dangerous as of the 27th March 2014. “Oscar” is currently registered with Maranoa Regional Council as a regular entire dog. The registration amount paid is $52.00. Ms Rodgers has requested formally the waiver of the Dangerous Dog registration fee until the change of dog registration which coincides with financial year being July 2014. She has not provided Council with a specific reason as to why she does not want to pay the fee ($228.80) for the period 27 March 2014 to 31 June 2014. The new fee for 2014/2015 dog registration year is $238.00. For Council to maintain a consistent approach to deliver compliance services, all persons identified with owning and retaining a dog that has been declared dangerous have an obligation to pay all applicable fees at the time of declaration for the retention of such an animal. 3. Dogs declared as dangerous by Council prior to 1 July, 2009. · May in the opinion of an authorised person from observation of the dogs behaviour toward a person or animal seriously attack, or behave in a way that causes fear to the person or animal. · Seriously attack means to attack in a way causing bodily harm, grievous bodily harm or death. This particular dog was identified upon completion of the investigation into the incident as a dangerous dog as it had seriously attacked a person. Not following due process, where all animal owners irrespective of ‘type’, pay the delegated fee to retain the animal within an urban area. Corporate Plan 2009-2013 — 8.3.5(a) To undertake Council’s regulatory function in relation to the keeping and control of animals in a humane, consistent and responsible manner in the interests of the maintaining community standards and wellbeing. 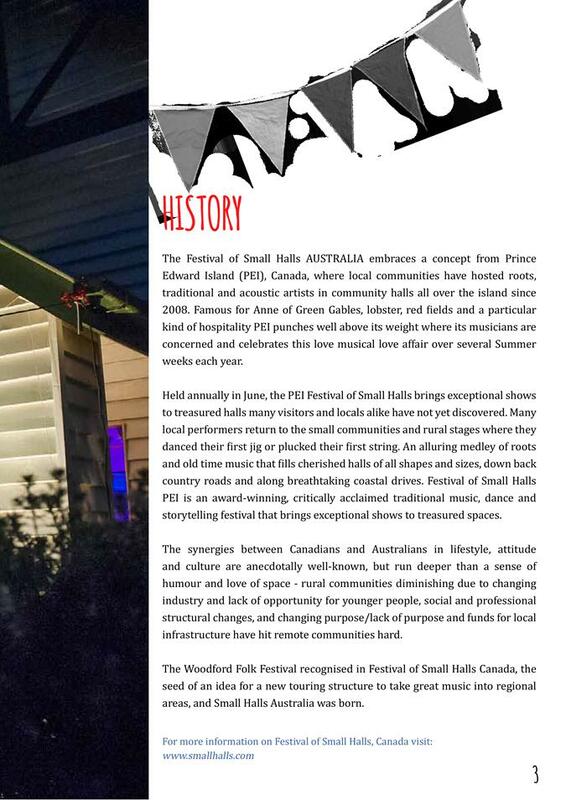 The Festival of Small Halls is an outreach project developed by the Woodford Folk Festival with the aim of bringing acclaimed international and national artists to regional and remote communities. 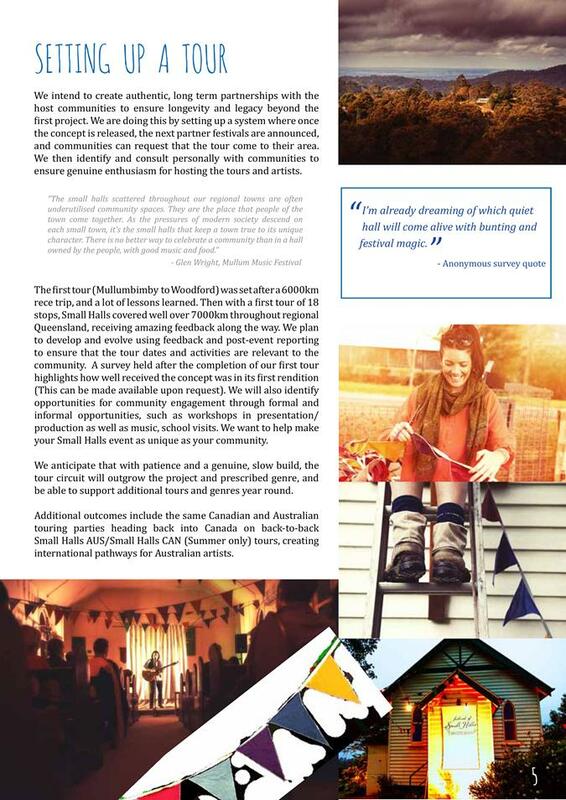 The Maranoa Regional Council has been invited to be involved in the 2014 touring program. 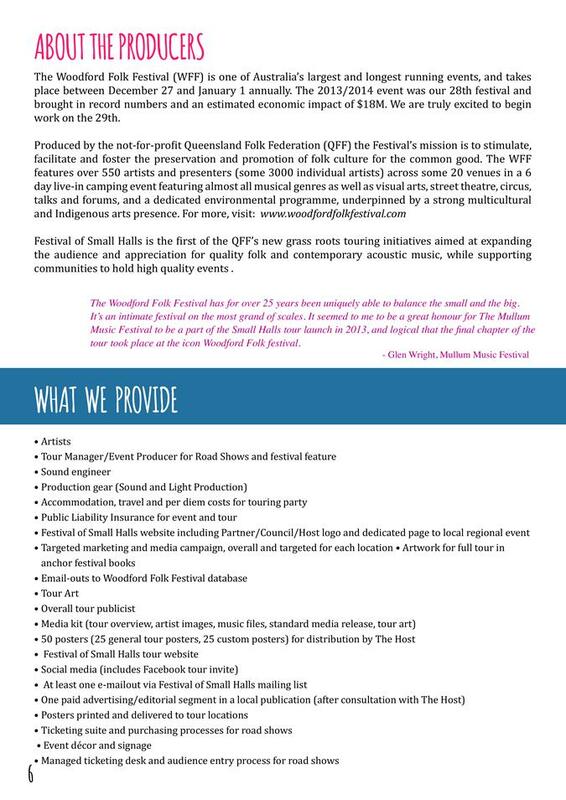 The organisers have also developed a workshop component of the program, the costs of which is subject to an application for funding through the Regional Arts Development Fund (RADF). The proposal also includes opportunities for local musicians to perform alongside the artists as part of the event program. 1. 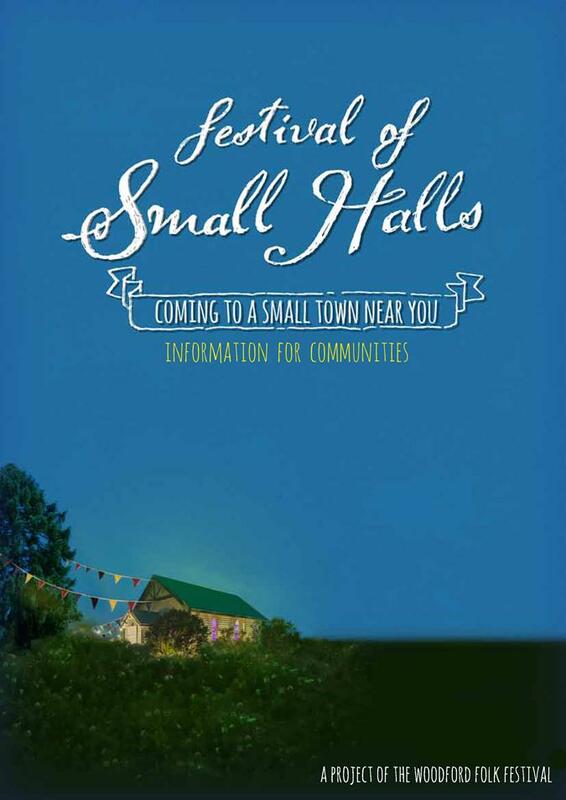 That Council confirm the Maranoa Regional Council as the host partner for the 2014 Festival of Small Halls to be held at the Mitchell Memorial Hall in mid October 2014 on the condition that RADF funding to the value of $3737.50 is granted. 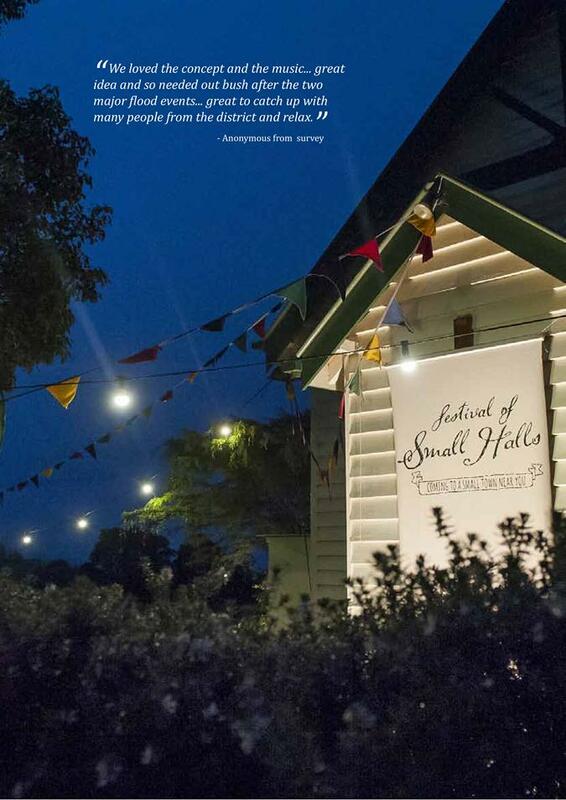 In December 2013, the Mitchell Memorial Hall played host to the inaugural Festival of Small Halls. The event was attended by a total of 39 audience members and 10 volunteers. 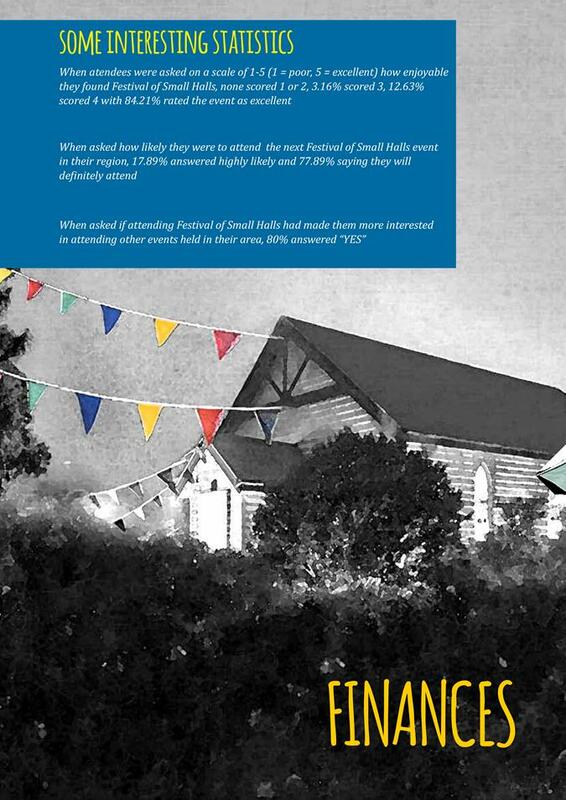 The response from the local community and visitors to Mitchell for the event that the event was of excellent quality and patrons would love to see the Festival of Small Halls return in 2014. The low number of attendance can be attributed to hosting the event on a Sunday afternoon in the heat of summer and that members of the community were struggling with the impacts of drought. 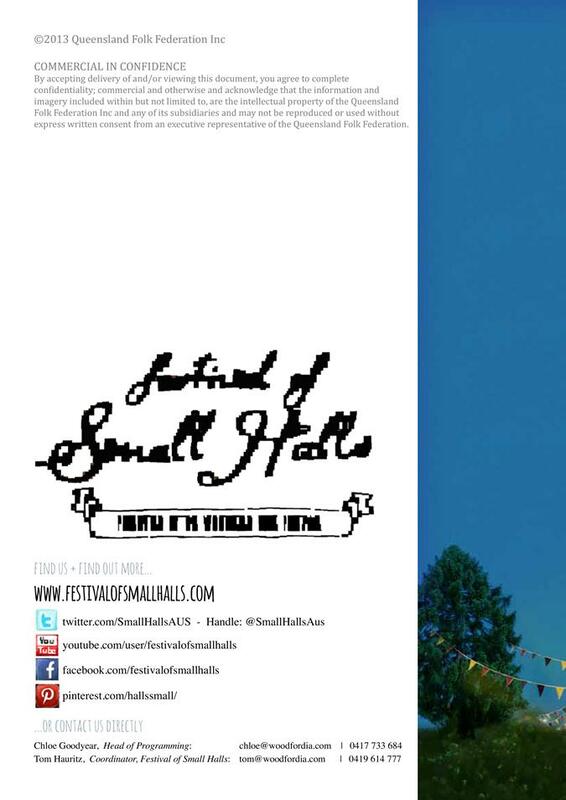 The proposal for the 2014 Festival of Small Halls is to host the event on a Saturday evening in October and to include local artists/musicians in the program. 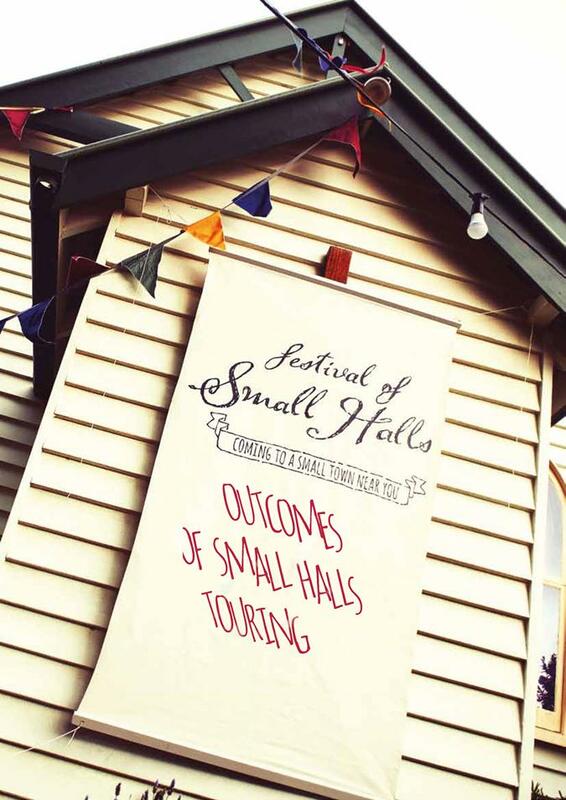 As the Festival of Small Halls received positive feedback, the event can gain leverage from the response of audience members to increase the number of attendees in 2014. 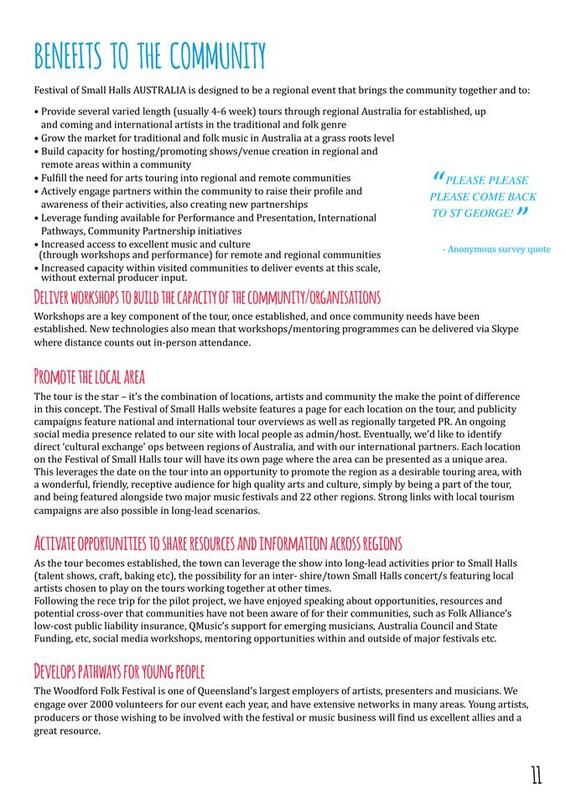 In order to mitigate the cost to Council and to encourage increased capacity building for the community, funding may be won through the Regional Arts Development Fund at the local level. 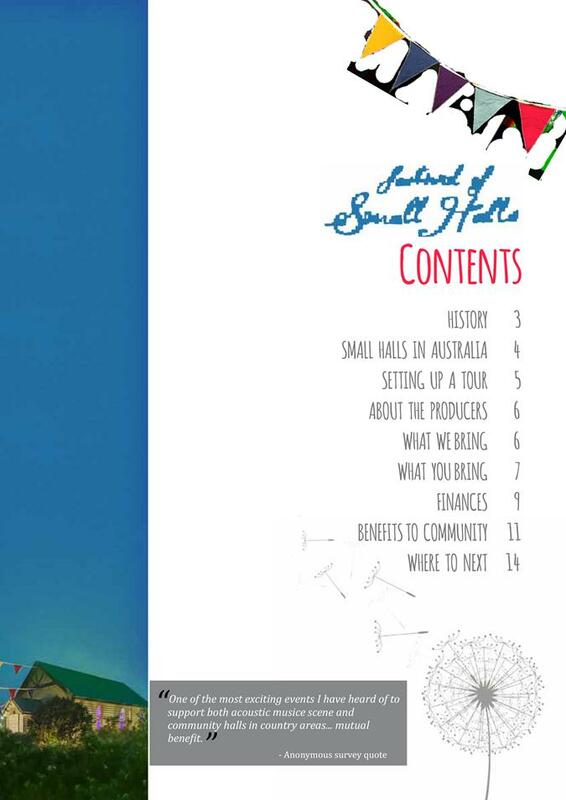 The Surat Hall and the Mitchell Memorial Hall were identified as possible venues for the 2014 Festival of Small Halls. As the Surat Hall is acoustically challenging, the Mitchell Memorial Hall was deemed to be more suitable for this type of event. 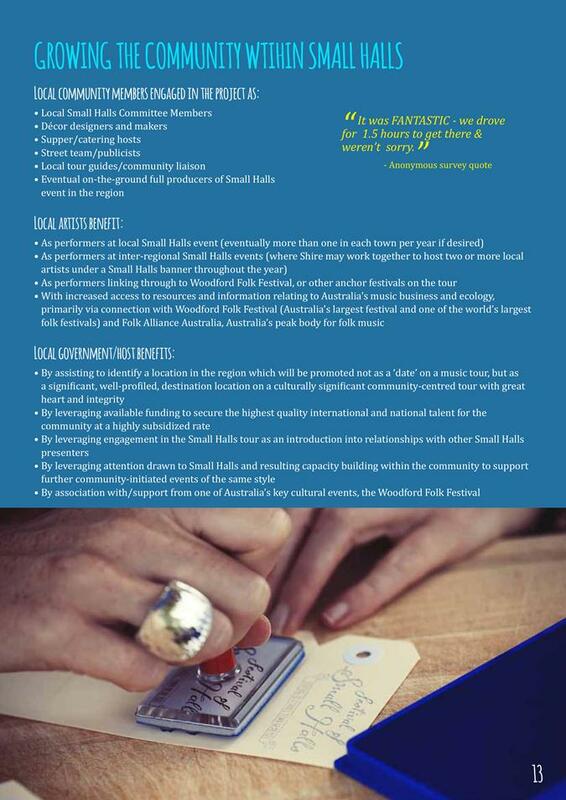 As the host for the Festival of Small Halls 2014, Council is required to supply the venue and provide marketing support at the local level. Local community groups will be invited to provide catering as a potential fundraising exercise. The risk to the Maranoa Regional Council is that whereby the ticket sales are not adequate to cover the gap cost for hosting the event. Additionally, there is a risk that the application to the Regional Arts Development Fund is unsuccessful. 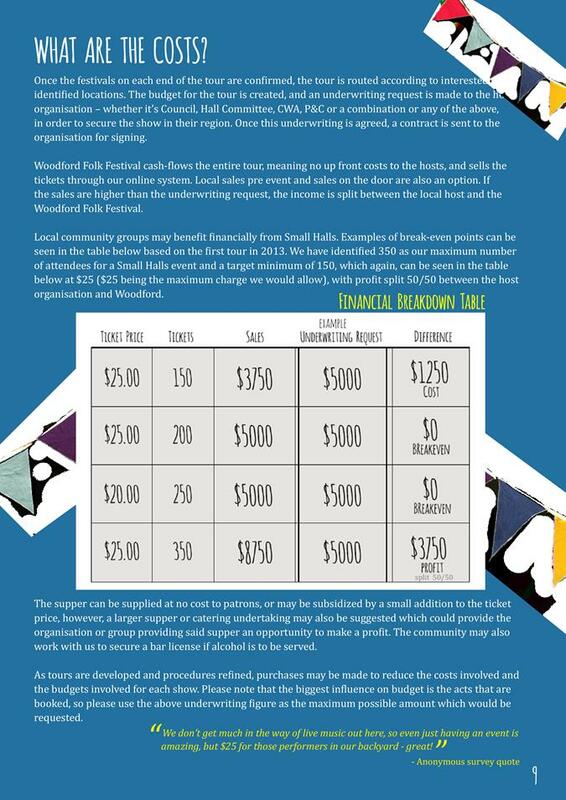 The total cost to host the Festival of Smalls is $5000, with an additional $250 for each workshop. The cost to Council is the gap amount between total ticket sales and the price to host the event. The cost to Council has been calculated to represent total charges in the event that there are 0 (zero) ticket sales. Tickets are priced at $20 and the minimum number of ticket sales needed for the event to be cost neutral is 101. 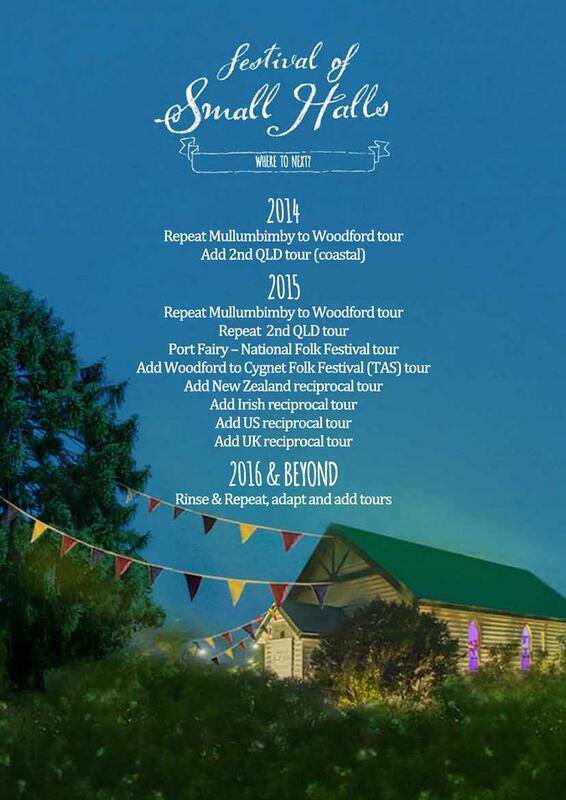 Costs will be determined on a pro rata basis dependent on the amount of tickets sold, e.g. if only 50 tickets sold then Council would be at risk for $1000.00, if 75 tickets sold then $500.00 is at risk etc. The Surat Library has been contacted by the Queensland Aged and Disability Advocacy organisation to request the approval to host a community information session at the Surat Library from 11.30am to 12.30pm on Monday 25th August. The QADA also requested assistance with advertising the visit and the information stand. 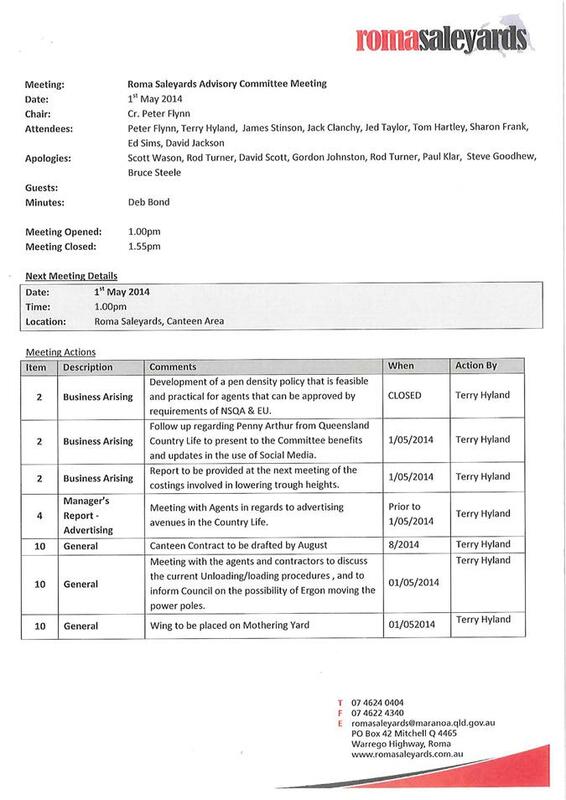 That Council approve the request from the QADA to set up a display stand and hold an information session and that Council offer limited marketing support. On the 4th June 2014, Council was contacted by Debbie Lewis from the Queensland Aged and Disability Advocacy service requesting permission to set up an information display stand to promote the organisation’s free services. The advised time and date for the information stand is 11.30am – 12.30 on Monday 25th August. The representative from QADA will be present for this session to provide information and advice to residents of the Surat community. This group is a not for profit, non government organisation and from the look of the information provided, relies on donations to conduct their services. The QADA has also requested support in advertising the visit through Council channels. In the absence of a policy regarding who may use Council facilities to promote their services, we request the guidance of Council. A Post Event Report on the 2014 Volunteer Week Celebrations held the week of May 12th-18th across the Maranoa (events in Roma, Injune, Bymount, Surat, Teelba, Mitchell, Amby, Wallumbilla and Yuleba). A series of events were held across the Maranoa Region during the nationally celebrated Volunteers Week from 12-18 May 2014. Volunteers are a very special breed. They're not afraid to step in when they see the need. To lift someone up who's sinking in quicksand. And they manage to say it in the kindest way. They share their skills, talents and time. And in return, they don't ask for a dime. So the next time you meet with some volunteers, Shake their hands, and let them know you're happy they're here. Maranoa Regional Council’s Local Development Officers organised and presided at the events. All activities and events throughout the Maranoa Region were well attended, with 190 volunteers involved. The Economic and Community Development team organised events across the Maranoa annually for National Volunteers Week. This year it was decided to include not only the major regional centre but a number of smaller towns. The events were mostly morning and afternoon teas with professional caterers, with the exception of Bymount who had an evening BBQ. Council staff hosted 36 Volunteers from each of the region’s Visitor Information Centre’s (VIC) on a tour of Roma, Wallumbilla, Yuleba and Surat via the Cobb and Co Way. While it is a requirement of TEQ’s VIC accreditation for volunteers to be taken on at least one tour per year, these activities also provide an opportunity to treat and thank volunteers for their valued contribution in our information centres. § Karen Hibbs, Paul and Beryl Masson – Yuleba, Judds Lagoon and Cobb and Co Way. § Greg Richardson, Doug McLeod and Cr Wendy Newman – Surat Riverside Parklands, Surat Segway Safari’s and Surat local area. Feedback from those who took part in the tour was positive. Volunteers felt that the tour was a ‘treat’ and a relaxing day for them. Many also suggested that it was a great experience to have local’s guide them throughout the region and to provide such in depth information which will prove useful in the region’s Visitor Information Centres. 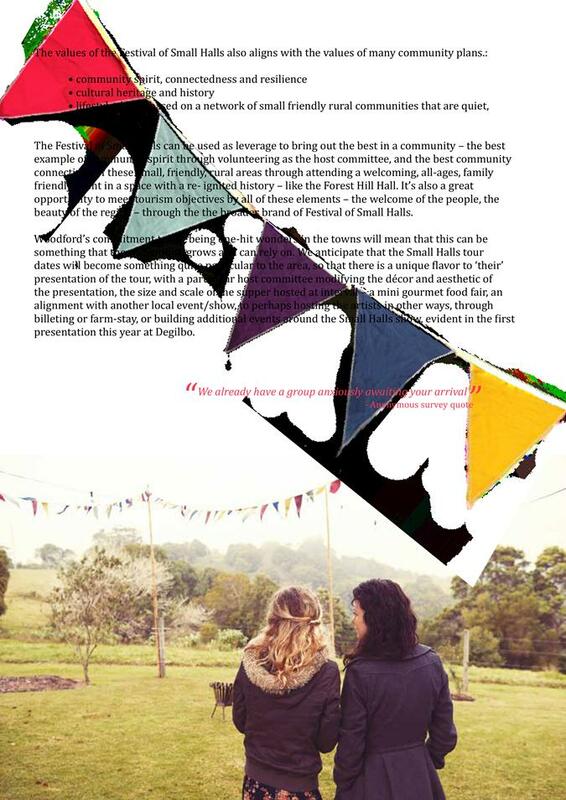 · A lovely gesture but do volunteers expect this? A lot of individual contact was required to ensure events had good attendance for the efforts from Council staff. A lot of responses were “I don’t do it for a morning tea; I just want to lend a hand”. Can the Volunteers Week budget be moved to Council Community Grants, so therefore the clubs or organisations that the volunteers work for, have an opportunity to get something tangible to make their volunteering easier, eg use their own resources less and purchase more club equipment? · Showcase an organisation from each area every year? 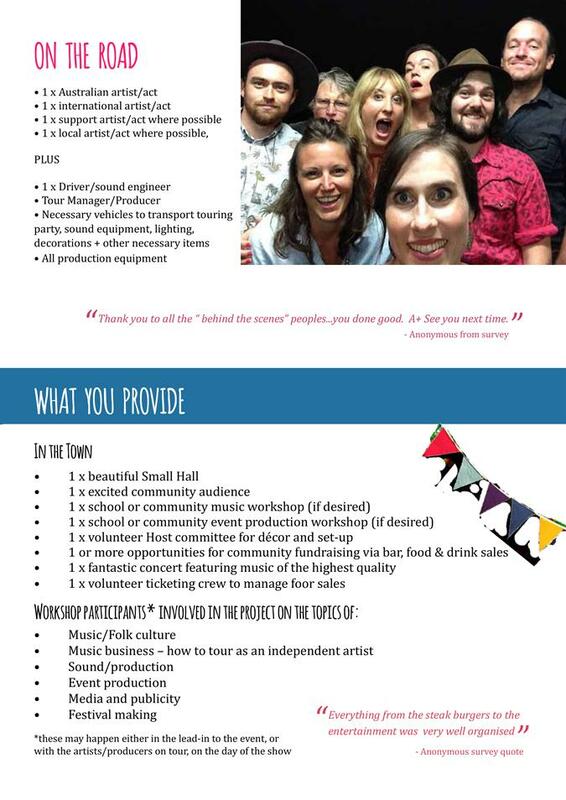 Meet the members, do a display on the organisation (year in review, photo slideshow). Choose an organisation who has a five year plan or some formalized future planning for where their organisation is heading, funding secured throughout the year, use a shining example? · Not all fun filled, but have some educational elements, with training or volunteer education to build their capacity to continue doing what they do best? 2. Update the Pen Density Manual to reflect these changes. The Roma Saleyards had a National Saleyards Quality Assurance (NSQA) audit undertaken on 14 January 2014, relating to the stocking density in selling pens when compared to the Code of Practice for the Welfare of Animals in Saleyards. The study recommendations have since been adopted by the Department of Primary Industries and Australian Livestock & Property Agents Association(ALPA). The Roma Saleyards currently operates with the maximum allowable pen density of 16 head of cattle as recommended by the study. 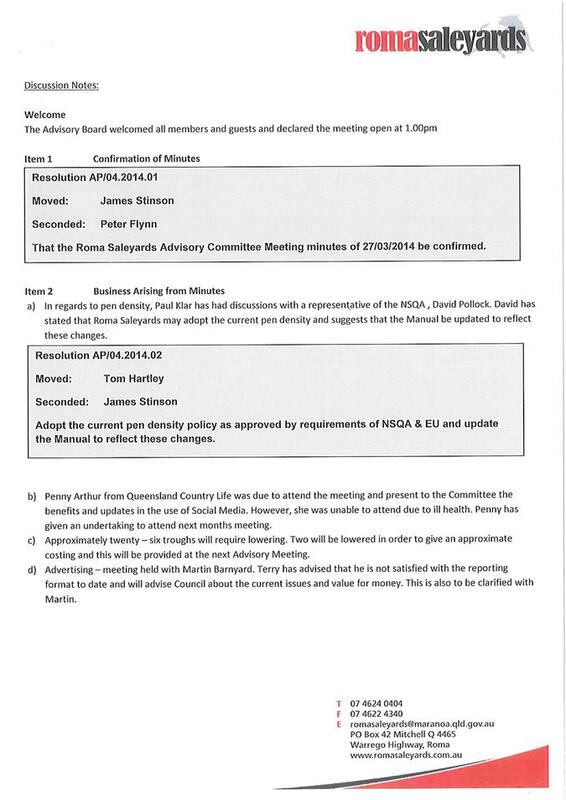 The audit report was presented to the Roma Saleyards Advisory Committee at their meeting held on 1 May 2014. The committee have in turn recommended that Council formally adopt the current pen density policy as approved by the requirements of NSQA & Economic Union (EU), and that the Pen Density Manual Updated to formally reflect this change. The report into adopting a standard for stocking densities in selling pens is attached for Council’s review. 4. Be provided a further report once investigations have been undertaken. A number of concerns have been raised over a lengthy period of time with respect to non-livestock trucks congesting the hard stand parking and unloading areas at the Roma Saleyards. At present there is limited space for non-livestock parking. An inspection of the Saleyards parking area was undertaken, and an open area North West of the canteen was identified as a potential suitable parking area. This area will not interfere with future plans for further development of the Roma Saleyards, and could eventually be incorporated in any future truck stop development. 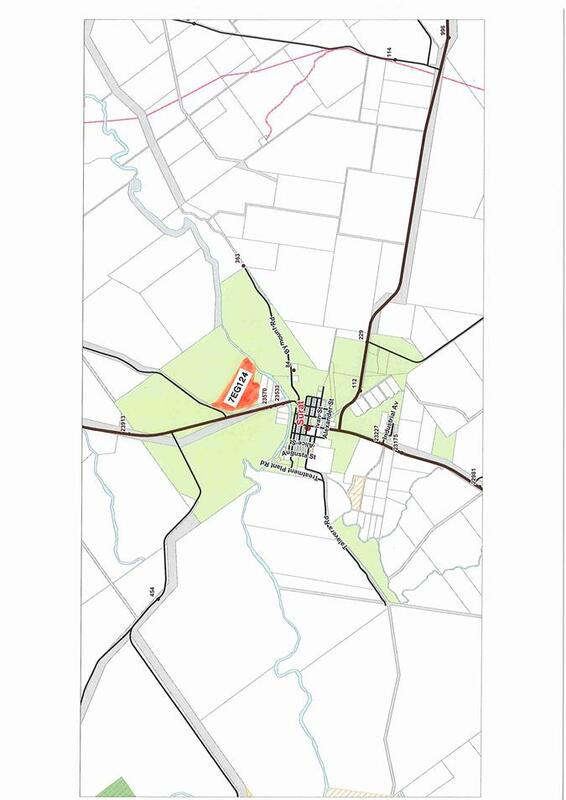 It is recommended that Council consider the option of gravelling the area identified in the attached map for this purpose, and installing the appropriate signage. Construction costs and funding options to be further investigated, as proposed works have not been included in the 2013/14 financial year budget or draft budget for next year.